Produce and display highly accurate mono and full-colour plans, drawings, designs, maps and presentations. As a technical designer you have to deliver precise large format images, confident that fine lines, text and tones are sharp, when creating quality, full-colour signage. You need your technical presentations to show every detail: sharp text, fine lines, dense blacks, smooth tones and excellent colour. Our fast and easy-to-use printers and bright projectors deliver everything you need to ensure confidence and efficiency. It's designed to integrate with all leading CAD and GIS software for maximum efficiency, control and flexibility. 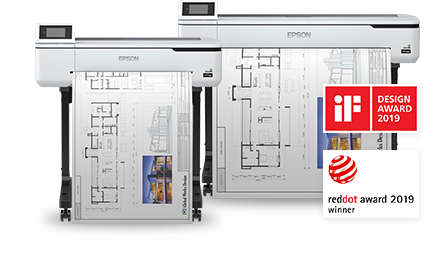 Produce a mono line drawing or full-colour signage up to (and beyond) A0 with one printer. Print different line weights and text with precision, for maximum clarity on vital plans. Leave a lasting impression with bright presentations and vivid colours, even in daylight. Bring plans and presentations to life with subtle tints, varied tones and vibrant colour. When speed is of the essence, hit the deadlines time and again with high-speed output. Taking control of your print won't cost the earth with our affordable solutions. 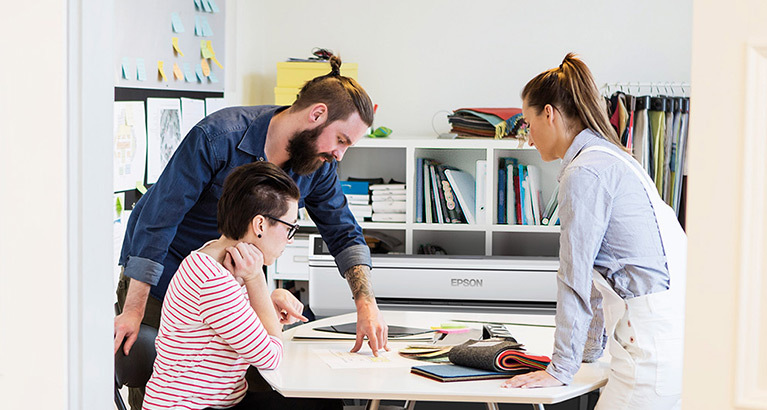 Everything you expect from Epson – quality, innovation and performance – in a trim and compact design to fit even small workspaces. The low total cost of ownership is ideal for business owners moving from outsourcing large format print production to in-house facilities. Networked Wi-Fi connectivity allows you to print from almost anywhere using a mobile device and compatible apps. The new SureColor SC-T3100 and SC-T3400 models have the smallest footprint of all our large format printers to fit into the most compact workspaces. Users also benefit from highly intuitive controls and simple ink replacement. 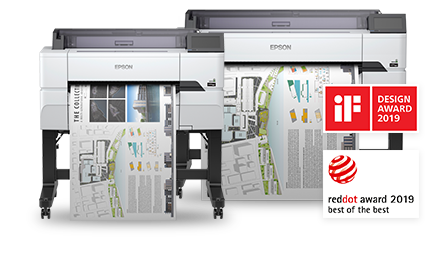 With high-speed large format inkjet printing, speeds from 22 seconds for an A1 page, and no loss of quality using UltraChrome XD2 ink, you’ll be amazed at the results. Entry-level desktop large format printers with our smallest footprint for the most economic spaces. Create professional quality large format, detailed prints on a daily basis. Ink cartridges are available in a range of sizes allowing you to control overheads and productivity: 50ml or 80ml in black, 26ml or 50ml in colour. Entry level floor-standing large format printers requires minimal space and set up. It benefits from a user interface that’s intuitive and accessible. Produce stunning prints time after time with no loss of colour or detail. Expand your productivity with a range of ink cartridge sizes: 110ml and 350ml in black and colour. Bring your creations to life with the SureColor SC-T Series printer. It’s capable of creating posters, banners, wall art, blueprints and indoor or (short term) outdoor signage. Available in multiple configurations, there’s sure to be a model to match your needs. You have a choice of 24", 36" and 44" printers with the option of single or dual rolls, multifunction capability (print, scan and copy) and Adobe PostScript 3 support. All are equipped with state-of-the-art technology, enabling them to perform complex tasks with ease. 24" 4-colour large format printing with speed and accuracy. 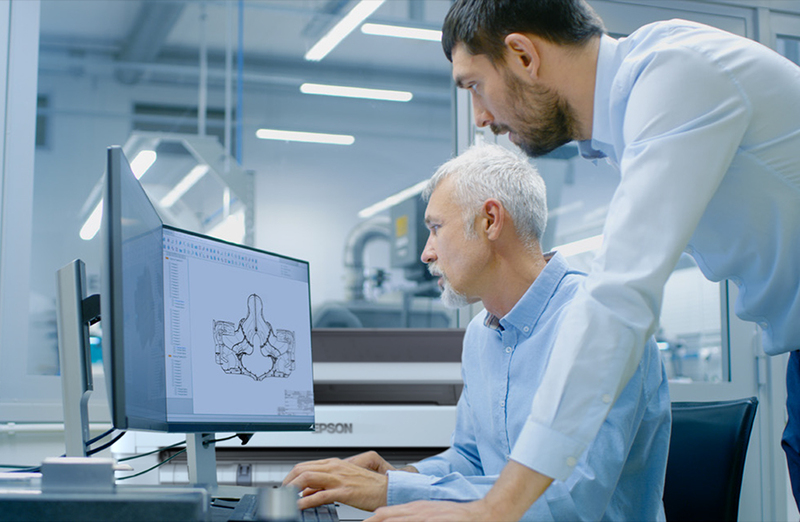 Intuitively connects with a wide range of graphics, CAD and GIS programs making it ideal for busy production environments. Available as a standard configuration only (single roll). 36" 4-colour large format printer. Top resolution and image quality. Incredibly simple to use for design professionals and novices alike. Capable of syncing directly with a wide range of CAD and leading design programs – perfect for the versatile and multi-discipline design office. Available in a standard configuration or as a dual roll. 36" 4-colour large format printer with integrated screen for scanning, copying and sharing. Create sharp and accurate prints cost-effectively. Available in a standard configuration or as a dual roll. 44" high speed, 4-colour large format printer combining performance, quality and value for money. For maximum productivity and flexibility, it’s ideal for use with CAD, reprographics, education and printing POS posters. It offers both precision and speed and is available in a standard configuration or as a dual roll. 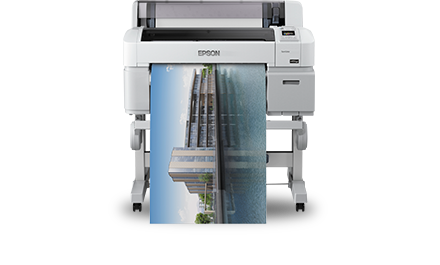 44" high-speed 4-colour large format printer with integrated screen for scanning, copying and sharing. Copy an A1 document in as little as 39 seconds, and produce an A1 print in 28 seconds. Documents and photographs will scan with 600dpi optical resolution for clear copies in both colour and black and white. Available in a standard configuration or as a dual roll. 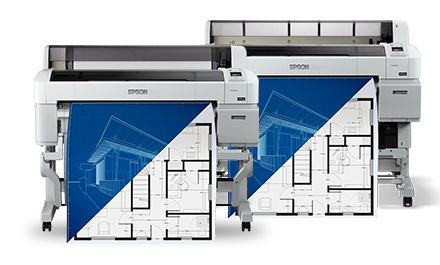 For speed, convenience, versatility, better productivity and cost control, maximise profits by bringing your large format printing in-house. 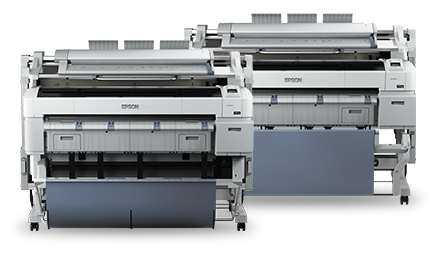 Epson's large format printers boast a low total cost of ownership (TCO) and high speed printing on a range of media. Produce big documents without compromising on quality. Print directly from your mobile device with our networked models. Let clients and associates experience the richness of your designs, renderings and graphics with stunning full-colour displays, brilliant detail and sharp photography. The SureColor SC-T Series large format printer range handles the requirements of CAD printing and plotting, blueprints, along with the business proposals and documents that are needed for the client and legal aspects of your projects. Make an impact and grab your clients’ attention by creating vibrant, eye-catching campaigns quickly and seamlessly. Print everything from large photo quality posters to banners. 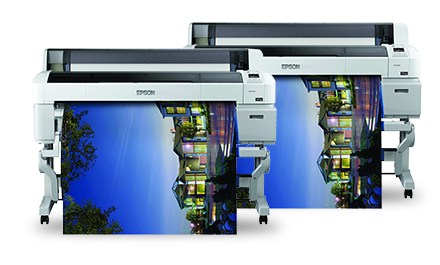 A large format printer can improve your marketing efficiency, allowing you to manage your creative workflow with ease. Low TCO and high speeds make the SureColor SC-T Series large format printers ideal for engineers. Produce detailed and accurate large-scale drawings, renderings, schematics, blueprints, and more whenever you need to. Long performance printheads and less frequent cartridge recharging means you control the quality of the prints - saving time and money. 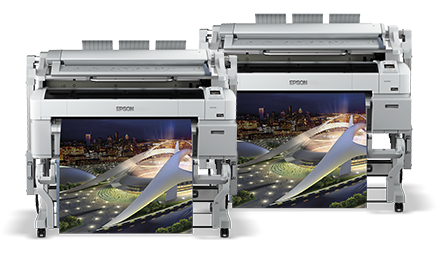 From posters to banners; from presentations to graphics, in-house large-format printing elevates your brand and enhances your image in an increasingly competitive marketplace. Schools, colleges and universities are often required to have the latest technology to encourage and inspire the next generation. Generate stunning printed collateral for the classroom and print promotional materials for school events, in-house. The SureColor SC-T Series printers integrate seamlessly into your workflow, with our easy print application or using the optional Adobe PostScript 3 module (for the higher end models) supporting PDF, JPEG and TIFF formats. You can also print from CAD files and a wide variety of desktop publishing applications and design software packages. With a large format printer you can print board signs, hoarding signs, scaffolding banners, floor plans, window clings and wall maps – everything you need created in-house to promote your business and get great results for your clients. Impress your clients and partners with large format documents and plans with superb image clarity, quality and detail. Rapidly, accurately and cost effectively create indoor building signage, building wraps, scaffolding covers and large mesh banners in-house. 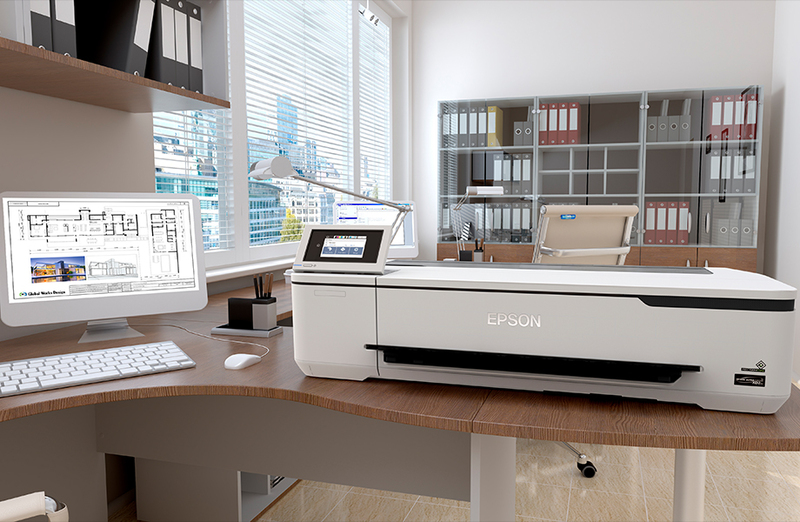 With a large format printer, putting the CAD drawings or other plan renderings on paper is easy.